Literary Myth: If you don’t have a literary agent, you aren’t a real author. FALSE! Dynamic speaker and successful agent Laurie McLean of Fuse Literary will share insights from the trenches about the revolution going on in publishing and why is it no longer impossible to get published without an agent. Through self-publishing, crowdfunding, crowdsourcing, digital-first and other publishing initiatives, for the first time ever you can go it alone and make a living as an author. Is there a place for a literary agent in your future? Perhaps. Perhaps not. And perhaps literary agents are changing as much as the industry they work in. Laurie will candidly explain the ins, outs, pluses, and minuses of publishing in this new era and beyond. 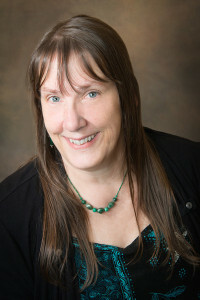 Ms. McLean spent 20 years as the CEO of a publicity agency and 8 years as an agent and senior agent at Larsen Pomada Literary Agents in San Francisco. Following her stint as the CEO of a successful Silicon Valley public relations agency bearing her name, Laurie was able to switch gears in 2002 to immerse herself in writing. She penned three manuscripts before deciding that the life of a literary agent was her destiny. She has been writing professionally since high school–first as a journalist, then as a public relations agent, finally as a novelist. She earned a Bachelor’s Degree in Journalism from the State University of New York and a Master’s Degree at Syracuse University’s prestigious Newhouse School of Journalism. For more on Laurie McLean, check out her blog at agentsavant.com, follow her on Twitter @agentsavant, and visit her Facebook page at facebook.com/laurie.mclean. So come and join us for our 90th Anniversary Celebration on October 17, 2015 beginning at 11:00am. We will have one action packed afternoon, sure to please one and all. Join us for cake, balloons, vintage slideshow and music, fantastic door prizes and surprise guest speakers. Looking forward to seeing you there.